Hubble and Spitzer have observed galaxies over 95% of the way back to the Big Bang, well into the epoch of reionization and close to the dawn of galaxy formation. The most distant galaxy candidates have been discovered using two complementary observational strategies: blank field observations such as CANDELS and the Ultra Deep Field; and galaxy cluster lensing programs such as CLASH. Additional deep observations are required to discover larger samples of distant galaxies and mitigate the cosmic variance of the single UDF. Deep lensing observations can reveal even fainter sources that would otherwise be inaccessible to current telescopes. 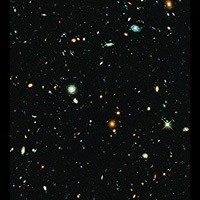 Using Director's Discretionary (DD) observing time, Hubble and Spitzer are undertaking a revolutionary deep field observing program to peer deeper into the Universe than ever before and provide a first glimpse of JWST's universe. 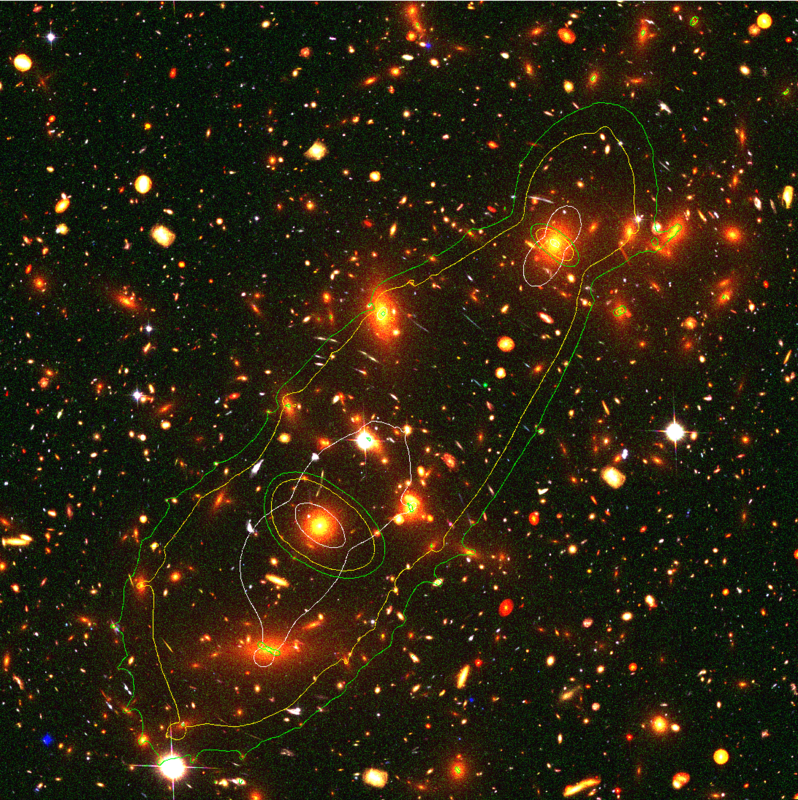 These Frontier Fields are combining the power of Hubble and Spitzer with the natural gravitational telescopes of high-magnification clusters of galaxies. 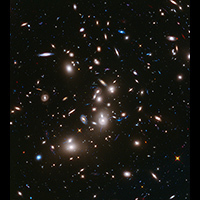 Using both the Wide Field Camera 3 and Advanced Camera for Surveys in parallel, Hubble has been producing the deepest observations of clusters and their lensed galaxies ever obtained, and the second-deepest observations of blank fields (located near the clusters). 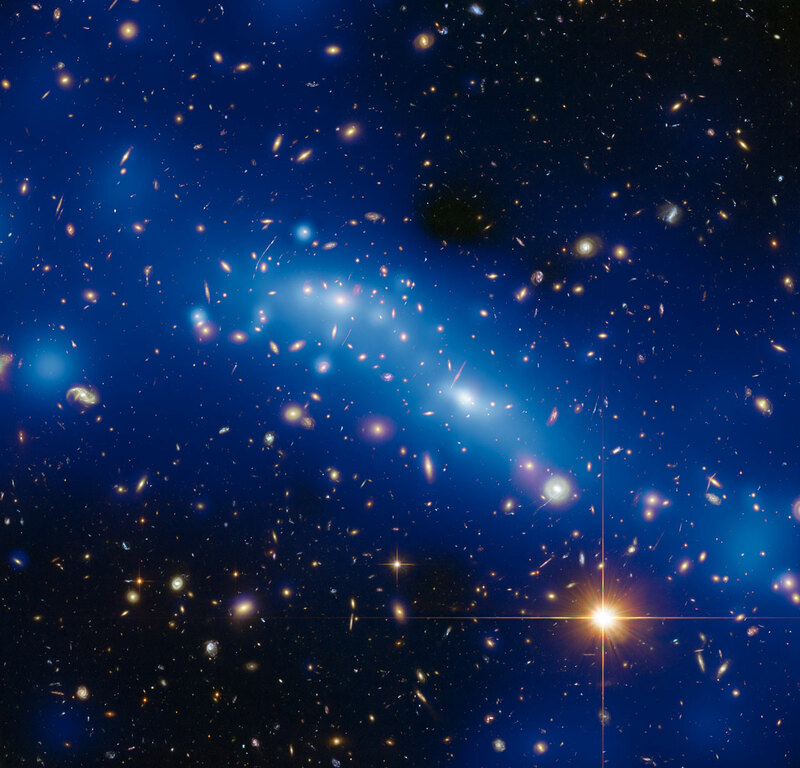 These images have begun to reveal distant galaxy populations ~10-100 times fainter than any previously observed, improving our statistical understanding of galaxies during the epoch of reionization, and providing unprecedented measurements of the dark matter within massive clusters. Six massive clusters have been selected for these observations: Abell 2744, MACSJ0416.1-2403, MACSJ0717.5+3745, MACSJ1149.5+2223, Abell S1063, and Abell 370. The cluster lenses have been well modeled by multiple groups, and these models are improving further with the deeper data. Spitzer has completed deep observations of the first 4 clusters and parallel fields. By the time of this meeting, Hubble will have completed observations of the first two pairs of clusters + parallels and will have begun observing the third and fourth pairs. For the current observational status check the Hubble and Spitzer Frontier Fields websites. Data from other telescopes are also available. The Frontier Fields program is based upon the 2012 recommendations from the Hubble Deep Fields Initiative Science Working group which solicited white papers from the community: SWG Report 2012. The deadline for abstract submission for this workshop is September 20, 2014. There is no registration fee, but space is limited. The Friday morning session will focus on the results of the ongoing cluster mass modeling comparison project that has been led by Priya Natarajan (Yale), Massimo Meneghetti (JPL & Bologna), and Dan Coe (STScI). 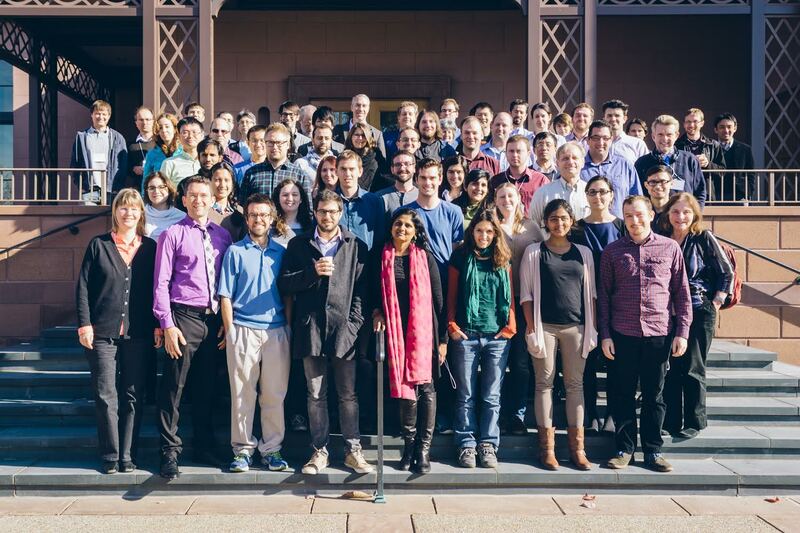 Several expert groups around the world have developed their own independent methodologies and techniques to construct lensing mass distributions from observational data. As part of this model comparison project we invited teams to participate in the reconstruction of simulated clusters selected from high-resolution cosmological N-body simulations. We have been comparing the results submitted in detail focusing on error estimates in lensed galaxy magnifications and shears. To fully exploit cluster lensing and combine it with other mass-estimation techniques such as studies of kinematics, X-ray temperatures and the Sunyaev-Zeldovich effect will require understanding and characterizing the uncertainties in lensing models. We plan to discuss the results of this on-going project in order to diagnose the strengths and weaknesses of various reconstruction methods. All workshop attendees are welcome to attend this Friday morning session as well.